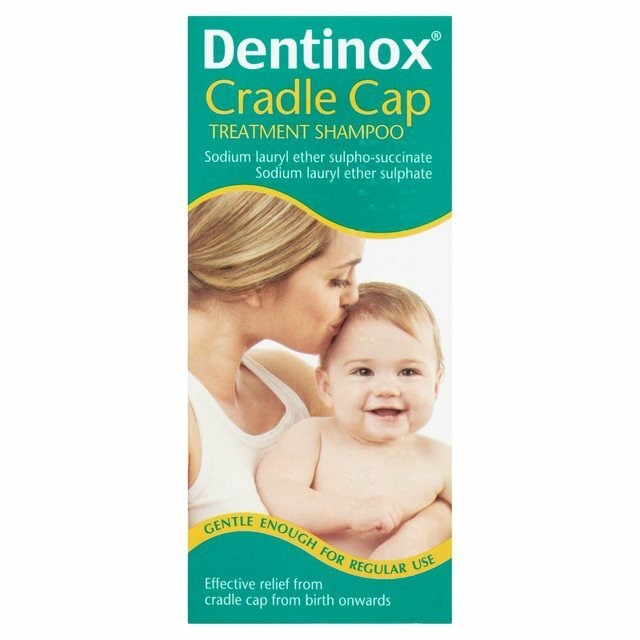 Dentinox Cradle Cap Treatment Shampoo may be used to treat cradle cap. It can be used as a general shampoo once cradle cap has been treated, to maintain the cleanliness and health of your baby's scalp and hair. Wet baby's head with warm water. Put about 2-3ml of shampoo onto your palm - this is about half a teaspoonful. Massage gently but firmly over baby's entire scalp. Do not be afraid of touching the soft area of the scalp (fontanelle). Rinse off and shampoo again. Rinse well and dry. Repeat at each bath-time until baby's scalp is clear. Then use regularly to keep baby's scalp and hair clean and healthy. Read and retain enclosed patient information leaflet.